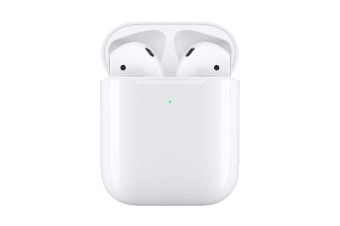 Now with more talk time, voice-activated Siri access and a new Wireless Charging Case, the Apple AirPods 2 deliver an unparalleled wireless headphone experience. 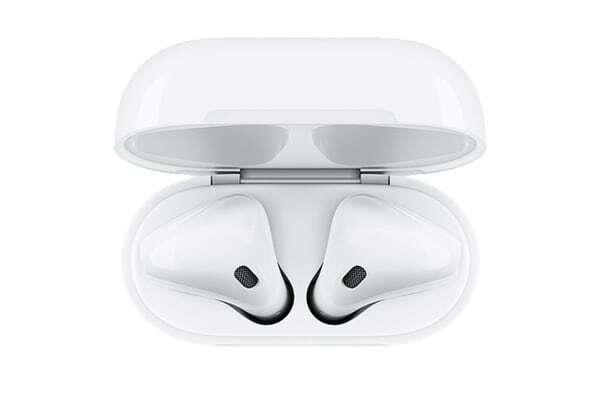 Simply take the Apple AirPods 2 out and they’re ready to use with all your devices. Put them in your ears and they connect immediately, immersing you in rich, high-quality sound. Just like magic! 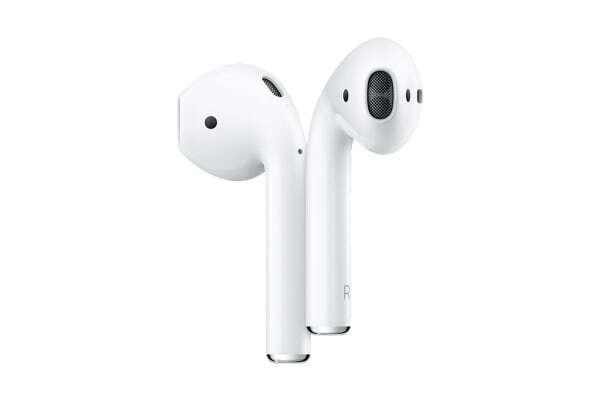 Powered by the all-new Apple H1 headphone chip, AirPods deliver a faster and more stable wireless connection to your devices – up to twice as fast when switching between active devices and a 1.5 times faster connection time for phone calls. The H1 chip also drives voice-enabled Siri access and delivers up to 30% lower gaming latency, so whether you’re playing games, listening to music or enjoying podcasts, you’ll experience higher-quality sound. Optical sensors and motion accelerometers work together to automatically control the audio experience, engaging the microphones for phone calls and Siri access and enabling AirPods to play sound as soon as they’re in your ears. You have the freedom to wear one or both AirPods and you can play or skip forward with a double tap when listening to music. Additionally, a speech-detecting accelerometer recognises when you’re speaking and works with a pair of beamforming microphones to filter out external noise and focus on the sound of your voice. With the new Wireless Charging Case, charging is as simple as placing the AirPods case on a Qi-compatible charging mat*. That’s it! The LED indicator on the front of the case lets you know that your AirPods are charging. And when you’re away from a charging mat, you can use the Lightning connector to charge.